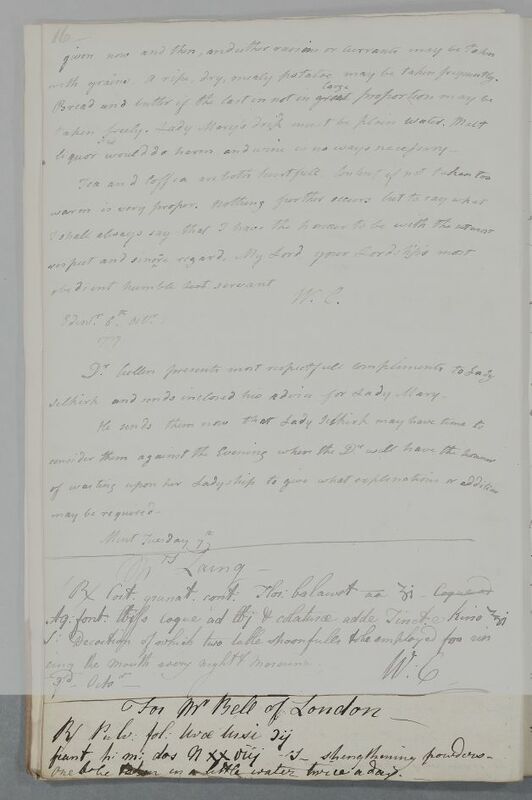 Reply, two isolated recipes, 'For Mr Bell of London'. The date has been corrected from the 4th to the 7th October. 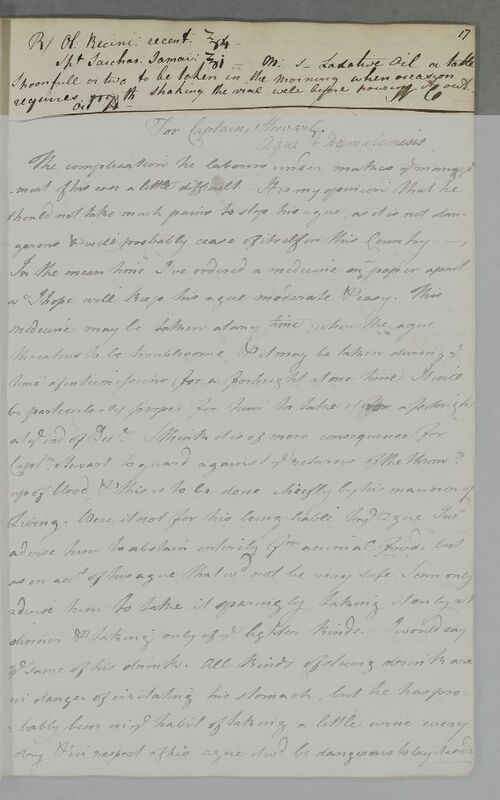 Summary Reply, two isolated recipes, 'For Mr Bell of London'. The date has been corrected from the 4th to the 7th October. Case of Mr Bell of London who is prescribed a strengthener and a laxative. Take two scruples of powdered Uva Ursi leaves. Mix, and divide into twenty eight doses. Label: strengthening powders. One to be taken in a little water twice a day. Take four ounces of fresh Castor Oil and one ounce of Jamaican Rum. Mix. Label: Laxative Oil, a tablespoonful to be taken in the Morning when occasion requires. Shake the vial well before pouring it out. fiant p: m: dos N XXViij S. strengthening powders. One to be taken in a little water twice a day. requires shaking the vial well before pouring it out.